Dive into the angelic realm on this morning workshop all about listening to the whispered messages from your angels. Learn how to meet your guardian angel, and find out more about the archangels and the armies of angels that are available to us to call on any time. Learn more about Archangels Michael, Raphael, Gabriel, Uriel and others. Find out their specialism and when to call on them. Discover which crystals and colours resonate with each one. Learn how to communicate with the angels and learn how to recognise the signs of angel communication. 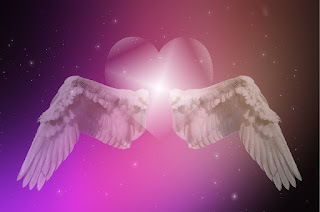 Find out how to improve or strengthen your connection with the angels. During the workshop we will be discussing and learning about the angels as detailed above. We will read the Angel Cards together and you will learn how to read for yourself and others. To end the session we will go through a guided visualisation together for the purpose of meeting and connecting with your own guardian angel. Light refreshments will also be available. There will also be the opportunity to purchase crystals, angel incense, pendulums and/or angel cards on the day if you wish. There is no obligation to purchase these items but they are available for you if you do want to buy them. Does this sound like something you would like to attend? If so please email me at debibarr@rocksnrituals.co.uk to register your interest.